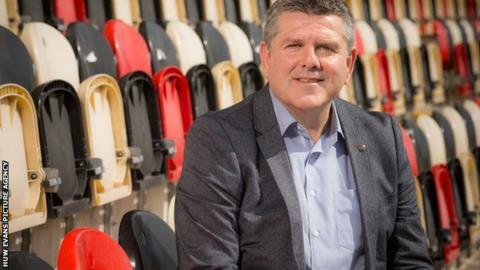 Dragons managing director Mike Davies has left his role with the region after a year in the job. Davies was appointed in April 2018 after David Buttress became the region's chairman in the summer of 2017. In December 2017 former Wales number eight Stuart Davies left his role as chief executive with Buttress becoming executive chairman. Buttress will move back as executive chairman role for the rest of 2019. "This has been a difficult decision to leave the region. However, I'm convinced that this is the right time for me and the Dragons to make a change," said Davies. "My roots are embedded in Gwent and I will continue to be a fervent supporter of the team. "Although there's much work still to do to achieve success, there's great potential for the Dragons to build a bright future."